With the increasing craze for video games and gaming product among the teenagers and the adults which is sure to increase its ambit in terms of age of the gamers, NVIDIA came up with the newest flagship graphics card with a drastic change in gaming pragmatism and elite performance. NVIDIA GeForce RTX 2080 Ti Review explains the presence of powerful GPU architecture, breakthrough technologies, and 11 GB of next-gen, ultra-fast GDDR6 memory in this video card, making it the world’s most coveted gaming GPU. 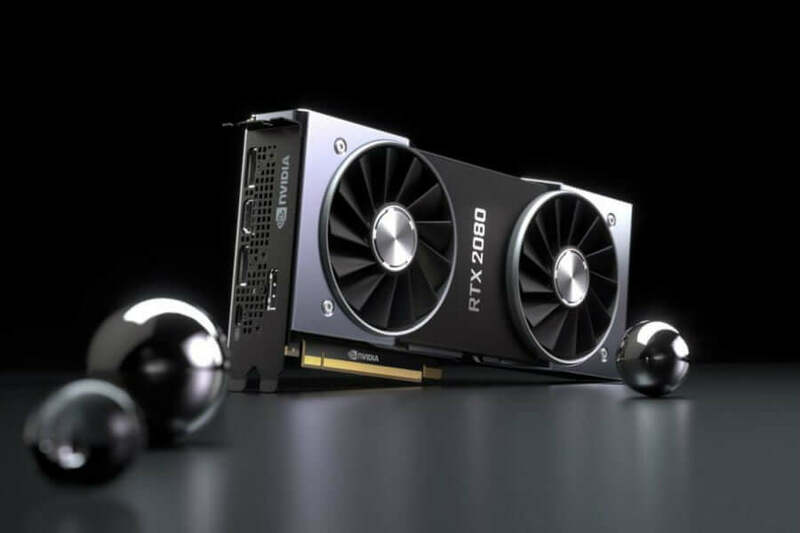 Keeping the demands and cravings of gamers at the top of the mind, NVIDIA launched Nvidia GeForce RTX 2080 Ti with much deliberation and prolonged researches by the doyens of the gaming engineers. The new NVIDIA GeForce RTX 2080 Ti graphics card have commenced being placed on shop shelves, providing unparalleled performance which is sure to usher the gamers to a whole new world full of exciting experiences. GeForce RTX 2080 Ti is fast and agile that keeps the gamers on their toes. The only part that pricks the most to the brother gamers is the repulsive price tag dangling from it which makes most of the gamers retreat. The Nvidia GeForce 2080 Ti costs $120 which is 71% higher than the flagship Nvidia GeForce GTX 1080 Ti came back in 2017. Improvised thermal solution performance helps sustain higher GPU Boost clocks. You should upgrade your GPU from the GeForce GTX 1080 Ti to the RTX 2080 Ti only if you possess a high refresh-rate 1440p or 4K monitor, accompanied by a wallet that hardly dries or with disposable income. If you have a 4K/60 monitor already, sit tight with the GTX 1080 Ti and see the knots unfolding talking to you a completely different world of gaming with high-class experience. 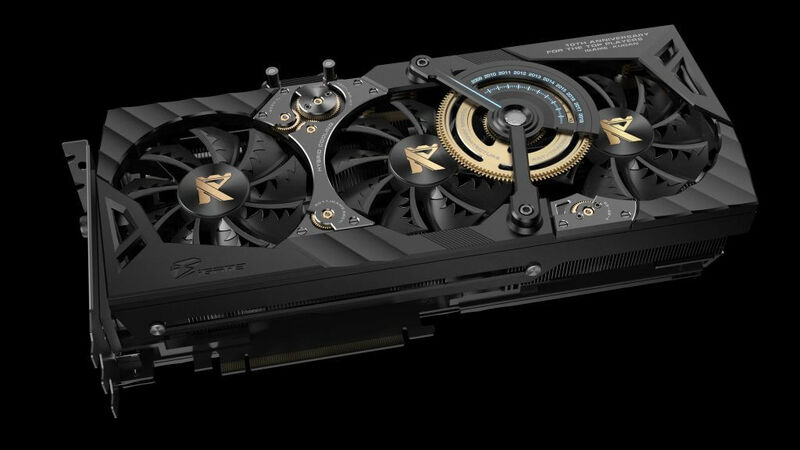 The Nvidia GeForce RTX 2080 Ti will make its way into the market on September 27. This can be preordered from Nvidia’s own GeForce RTX 2080 Ti Founders Edition for $1,200 which indeed is a high price, but nothing can be compared to its ability to offer high-end gaming experience. Overclocked versions can be found on Newegg.com for prices ranging from $1,169 to $1,299. As you have read on the title that the Nvidia GeForce RTX 2080 Ti is the most powerful GPU ever made, you can understand it will not come cheap. Nvidia has announced that the GPU will start from a base price of $999 and can extend up to $1299 for the top variant. Its predecessor the GTX 1080 Ti was significantly cheaper for $699. Therefore, it will be a surprise to many gamers who had assumed the pricing would be around the previous price. However, that has apparently not been the case, and no manufacturer is offering the Nvidia GeForce RTX 2080 Ti at a price lower than the $999. Other competitors like AMD have no high-end GPU variant that is priced so highly. The most expensive AMD graphics card is the AMD RTX 2080 Ti priced at $499 – $525. So the Nvidia GeForce RTX 2080 Ti is not only the most powerful GPU ever built, but it is also the most expensive amongst all other products. The moment you hold the GPU in hand or see it up close, you will understand why it is the Nvidia Flagship GPU. The Nvidia GeForce RTX 2080 Ti has a solid body construction which is probably the best we have seen so far. No other manufacturer or Nvidia themselves worked so much in the GPU body. It has a slight heft, and a brilliant premium feel to the overall case. The GPU has received a matte black and shiny grey dual tone finish which looks stunning for a device of this level. There are dual fans attached to the body, and they are black. The body holds the HDMI, a Display Port and USB Type C ports which prepare your system to be ready for the future. The excellent connectivity features of this GPU make it one of the reasons why gamers are looking forward to investing in it. The Nvidia GeForce RTX 2080 Ti comes with some phenomenal GPU technology. The most exciting of them all is the Nvidia Ray-Tracing Technology. However, you should know that Ray tracing is not a new technology but has been in widespread use in films for years. However, Nvidia has made it possible to use the feature in real time gaming for the first time, and thus, gamers are excited about it. Ray Tracing Technology brings an excellent lighting effect in the game which turns the environment more realistic and brings good shadows and reflection. 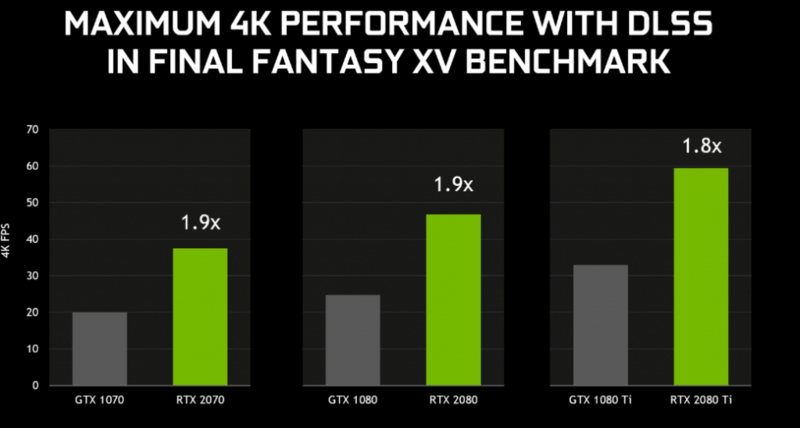 Nvidia Turing Architecture and Artificial Intelligence technology are allowing the Nvidia GeForce RTX 2080 Ti to make considerable strides in the gaming industry. The Turing technology arms the GPU with Tensor Cores which are capable of delivering AI computing horsepower which supports authentic AI algorithms in real time gaming. It brings more realism and enhancements in the game. This powerful AI enhanced graphics is one of the best USP of this GPU. The Nvidia GeForce RTX 2080 Ti comes with 11GB of GDDR6 VRAM, 4,352 CUDA cores and a boost clock of 1,635MHz. So you can pretty well get a feel of power oozing out from the GPU. It is right in the real world scenario as well. The prowess of the RTX 2080 is unmatched. There are no GPU devices available in the world that has shown such immense power and speed. If you are investing in the RTX 2080 Ti, then make sure to buy a monitor that supports the 4K resolution as well or else you will not be able to get the best experience. It is the 4K gaming aspect where it shows its true capabilities. NVIDIA GEFORCE RTX 2080 Ti Review gives an idea about why this is indeed the best creation ever, and the turning GPU architecture. It is constituted a considerable gamble by Nvidia. Introduction of Real-time ray tracing technology and the deep-learning tensor cores add considerably to the size of the processor itself, which in turn translates it into a much higher base price. The TU102 processor found in the top-end of RTX 2080 Ti is almost 60 % bigger than its predecessor; on the other hand, RTX 2080’s TU104 experiences a remarkable 74% surge in the area. Combine that with the cutting edge GDDR6 memory – redundant to mention the devoid of competition in the market – and this elaborates the high prices. Nvidia GeForce RTX 2080 Ti is comparatively more expensive than that of GTX 1080 Ti which is priced at Ti money and has less memory, while the Nvidia GeForce RTX 2080 Ti moves into the ambit of Titan price-point. The older tech may allure the upcoming fire sales for NVIDIA GeForce RTX 1080 Ti gamers as the retailers plunge into the stock clearance. Getting near the 60FPS at 4K Ultra settings is an easy bread for the GeForce RTX 2080 Ti, and we did not face any problems with the games we tested that includes – Battlefield 1, Shadow of the Tomb Raider, Assassin’s Creed Odyssey and many other DirectX 12 games. So regardless of the game, you are planning to play, we are sure that you will be 100% satisfied with the RTX 2080 Ti. RTX 2080 Ti is the most powerful graphics card which can be proved by the benchmark scores. You need to spend a few more bucks on the RTX 2080 Ti over the GTX 1080 Ti which gives an average boost of 25%. However, if you are hell-bent on staying glued to HD gaming, then buying an RTX 2080 Ti is overkill. The difference between the RTX 2080 Ti and GTX 1080 Ti is the performance when the resolution is accelerated to 1920 x 1080 can hardly be noticed. The older version of the graphics card is still on sale and can be bought from the stores. However, there is no initial or older version of it that will shake you the same way as it does. Nvidia GeForce RTX 2080 Ti is advanced and upgraded versions of the all its original graphics cards designed and programmed with acute finesse to change the way you see games.